Field biologist Joshua Powell describes how a grant from the Society took him to one of the most remote national parks in the USA. Find out how to apply for the latest round of grants – open now. The largest island on the largest freshwater lake in the world, Isle Royale is one of the most fascinating of all of the USA’s national parks. A stunning world of mist-shrouded bays and thick forest, and an International Biosphere Reserve, this is a part of North America that very few ever get to see. Incredibly difficult to reach, Isle Royale is often heralded as the most remote national park in the ‘Lower 48‘, a claim only contested by California’s Channel Islands. Yet it was here that, with a grant from the Royal Society of Biology, I would be working on one of the longest running biological studies in the world, a long-term study of predator-prey dynamics on the island led by Dr Rolf Peterson. Part of the reason why Isle Royale is so interesting for biologists is that predator-prey dynamics on the island are comparatively simple: Lake Superior is so big and Isle Royale so hard to reach that, aside from humans, there are just two large terrestrial mammals that made it here – the moose (Alces alces) and the grey wolf (Canis lupus). It is the wolves that have attracted the most attention. When wolf numbers were at their lowest in the US, having been exterminated across the Lower 48, with just a small population clinging on in Minnesota and here on the Canadian border, Isle Royale remained a bastion for the most iconic, and probably most hated, species in the US. (For further reading on the subject I highly recommend Barry Lopez’s Of Wolves and Men). However, as wolf numbers have rebounded across the country since their reintroduction to Yellowstone and gradual recolonisation of the West, the wolves here are now in serious trouble. In one of the most famous examples of a genetic bottleneck anywhere in the natural world, the wolf population of Isle Royale was gradually crippled by inbreeding and genetic deformities. Luck did not help and in recent years a series of tragedies befell the island’s wolf population, which dramatically declined until, at the last count in the winter of 2015/16, only 2 or 3 individuals remained. 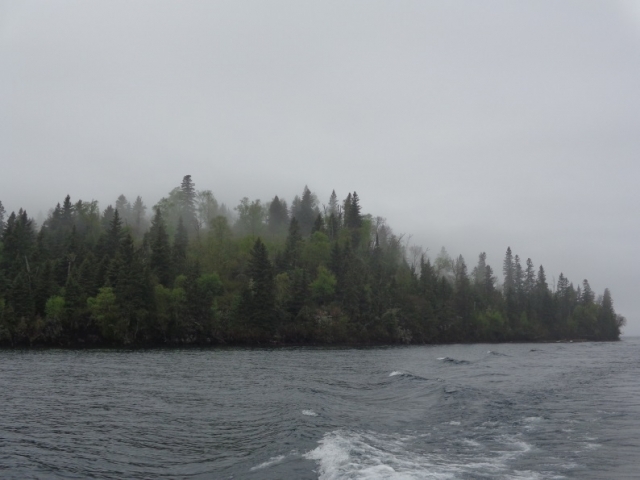 When I arrived on Isle Royale, I found the island embroiled in debate about the wolves’ future. Calls for ‘genetic rescue’; the release of new wolves from surrounding Canada or Minnesota to the island, were met with hesitation. By the time the National Park Service called a review of the situation to determine whether something should be done, the status of the Isle Royale wolves was already critical. What we’re increasingly looking at is wholescale reintroduction, not genetic rescue. Volunteers on the project are concerned that without wolves to control moose browsing patterns, and with the ice-bridges that allowed wolves to reach the island increasingly rare in the face of climate change, the Park Service face a long and costly struggle to keep the moose population under control, in order to limit impact on the island’s flora. This may lead to the difficult decision as to whether the Park Service are prepared to allow culling of moose inside a national park, an understandably unpopular course of action. As one of the least visited of all US National Parks, it remains to be seen how the park will manage to generate revenue for conservation with the loss of its iconic talisman species. What is certain is that the study of the wolves and moose of Isle Royale is about to enter a new phase – what happens to the moose population of Isle Royale when the wolves are all but gone? 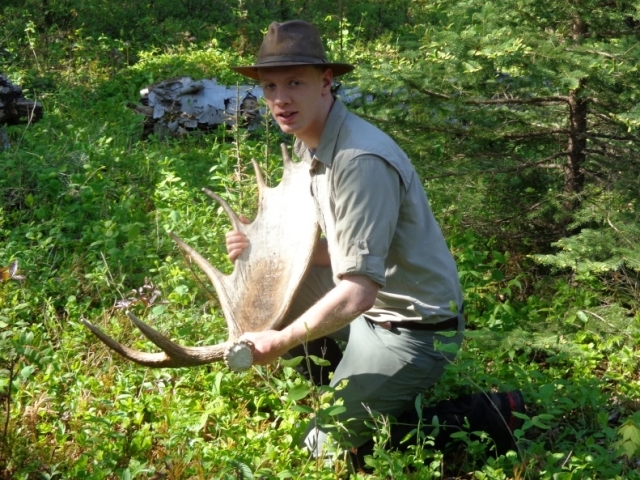 Find out more about the wolves and moose of Isle Royale study on its website and Facebook page. Joshua Powell is a geographer, field biologist and explorer, having recently graduated from the University of Pennsylvania as a Thouron Award Scholar. He received one of the RSB’s travel grants, which provides up to £500 for overseas travel in connection with biological study, teaching or research. Apply for the latest round of grants now.